Looking for the perfect space for you to improve your team’s performance? 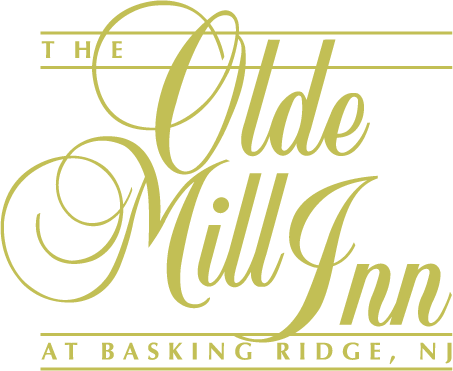 We have it here at the Olde Mill Inn! Engage and motivate your team to step out of their comfort zone and work together to accomplish a common goal. Our venues are ideal for multi-day team building retreats. From our open English Courtyard to the elegant Washington Ballroom and including our historic Grain House Restaurant, our one-of-a-kind settings will delight the entire group. We offer customized teambuilding events and activities that are unique to your company. Contact us to learn more about team building at the Olde Mill Inn by calling 908-696-2315, emailing corporate@oldemillinn.com, or filling out a Request for Proposal. The group is welcomed with a glass of champagne, and is then introduced to the Chef and his assistants. After donning their aprons and chef hats, the teams draw for their courses and cook each other’s dinner for the evening. The winning team is selected by the judge based upon team spirit, preparation of food and their final presentation. Dinner follows with your choice of wine. The group is broken into teams first and then supplied with aprons and an assortment of chocolates and candy treats. The objective is for each team to build a chocolate bridge which spans two feet. Judging is based upon creativity, team participation, team spirit, vigor and durability of the structure. The group is greeted with a glass of champagne, and is then introduced to the Chef and his helpers. Teams will have 45 minutes to prepare two hors d’oeuvres for the Cocktail Reception. Teams can show creativity by adding or omitting ingredients from the recipes provided. A pantry of ingredients, culinary coaches and table props are made available. Judging is based upon creativity, teamwork, taste and presentation. The Cocktail Reception follows.